Sharking is psychological warfare that bullies your focus through distractions. It may start with a well-timed twitch, or a show of false weakness. 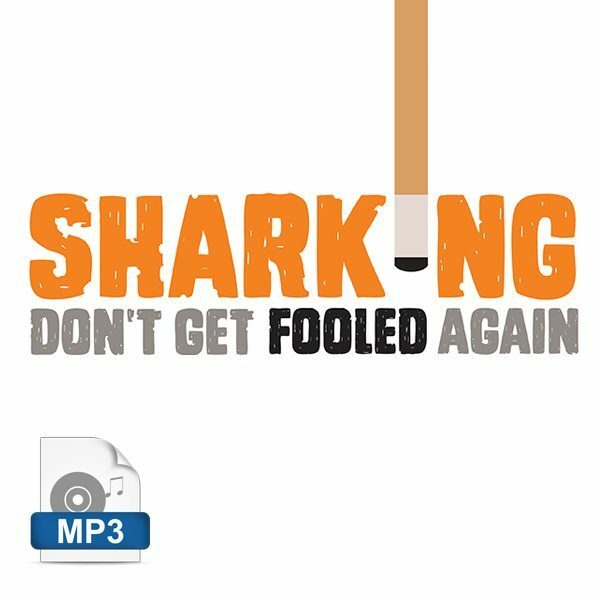 This audio book dissects the problem, provides a solution, tells 9 colorful stories from its most popular playground (billiard rooms) and ends with 150 shark techniques the author has overcome in competition. With your purchase, you’ll download a .zip file. Simply double-click that to expand and reveal audio tracks. Import these into iTunes or open in your preferred media player to listen. Also available among our free ebooks in PDF format (see link above) and soon to be available as an on-demand paperback.